Our breakfast compiles locally sourced meats, produce and drinks. And of course…. 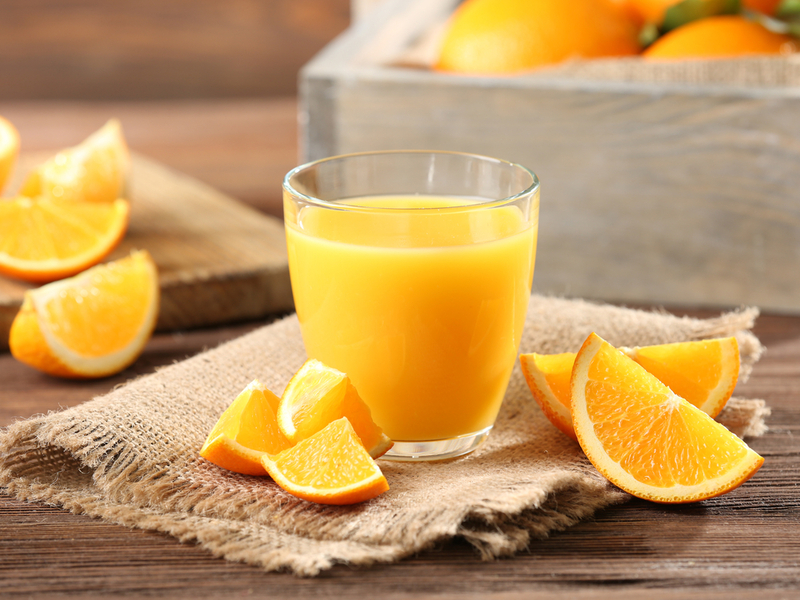 the freshest orange juice from our orchard to your glass. A breakfast or el desayuno is the smallest meal of the day. It is usually café con leche, a large cup containing a small amount of very strong espresso coffee with a lot of very hot, frothy milk and a sweet roll or magdalenas, lemon-flavored cupcakes or sugary churros. Children may drink a cup of thick and creamy Spanish hot chocolate or cold chocolate milk and a roll, although cereals have become popular with children in the last 20 years. A simple roll with jam or a sweet roll is usually served with café con leche. However, it is not unusual to see toast accompanied by butter or a mild, soft cheese and/or cooked ham. At home, many families will eat magdalenas or “Maria” crackers. They are a round cracker that is sweet – and look a bit like a Ritz cracker. Churros are a very traditional breakfast food - lightly fried dough similar to a doughnut, sprinkled with sugar or honey. Another popular breakfast food is called torrijas, which are Spanish Bread Pudding topped with sugar and cinnamon or rich honey. Any type of breakfast you eat in Spain should tide you over until noon when you’ll most likely be whisked off to the local bars for a few glasses of wine and some tapas before lunch! Ask us for a famous Can Gall 'café con leche'... our freshly ground and brewed strong coffee with heated milk.